Much of my work stems from my background in working with plants and aims to highlight the natural patterns and shapes of plants and their individual details. 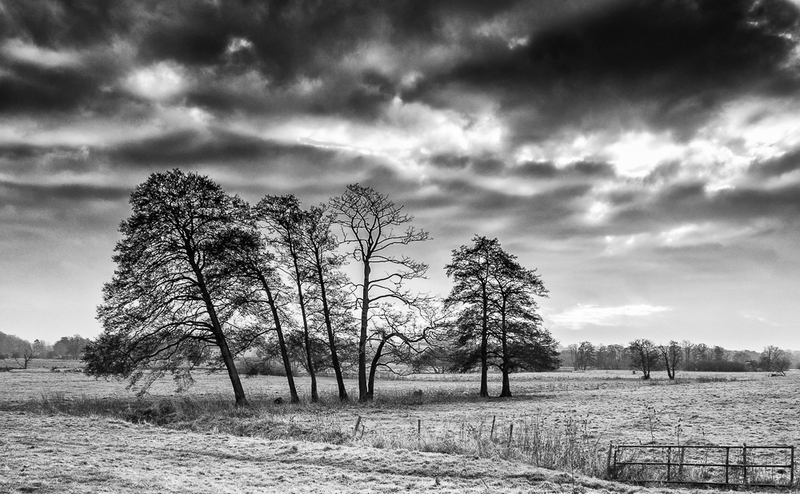 Over several years I have been working on a series of black and white images of trees in the landscape using absence of colour to emphasize the shapes and their impact on their surroundings. At the other end of the scale I have an ongoing project producing close up colour images of leaves to show the details and patterns within them and the way the colours separate between the vein systems.